Probiotics strengthen the immune system and support optimal gut health. This food supplement is comprised of billions of live microbial organisms that have many beneficial effects on human health. Research surrounding the use of probiotics in the prevention and treatment of eczema continue to pop up, and I believe these researchers are definitely on to something. There is a phrase that I have come to understand and fully believe in, “If the gut is not healthy, neither is the rest of the body”. Half of the six stages of nutrition (namely digestion, absorption, and elimination) occur in the digestive tract, and if the critical digestive system isn’t working properly, even the best nutrients will do us little good. In his article, “Skin Health, Eczema, and Preventative Strategies”, James Barker, N.D. sums up the importance of protecting the GI integrity for eczema patients by saying: “If the eyes and the skin are the portal through which we may observe the body’s internal health, the gut then is the door through which a majority of disease initiates its entrance into the body… It goes without saying that… the first area of treatment then for the patient displaying eczema should be the gastrointestinal lining, without a doubt” (p. 58). One of the best probiotics to take is the DDS-1 super-acidophilus-strain because of its anti-carcinogenic properties and it’s an effective antibiotic, which can deactivate disease causing bacteria. There are 200 different strains of Lactobacillus acidophilus, some 13 of which have strong antibiotic qualities, but research has shown that DDS-1 is the most effective against pathogens. It’s important to make sure to take adequate amounts of friendly bacteria on a daily basis. At the beginning stages of my healing, I started off with the recommended dosage, then slowly increased to make sure that I was fully supporting my immune system to restoration. I feel that supplementing with probiotics should be the first-line-of-defense when any illness is present, and even when common flu-like symptoms come on, it’s great to double or even triple up on your dose. If one was using antibiotics for an illness, then probiotics should be consumed to replenish the good bacteria that was wiped out by the antibiotics. It’s best to take probiotics on an empty stomach with water so that it has the time to do it’s magic on its own. Make sure that your probiotics have a good mix of different strains of healthy bacteria such as acidophilus and bifidus, and are vegan, because you don’t want any dairy interfering with your healing process. ***this acidophilus is the best probiotic to give for children from 0 – 6 years old. This capsule can be opened up and added to the child’s water first thing in the morning on an empty stomach. **These products are: Kosher, Vegan, Gluten Free, Dairy Free, GMO Free & GMP (Good Manufacturing Practice) certified. If you eat a 100% completely raw food diet then you don’t need any digestive enzymes because all of those amazing enzymes are intact in your food. The minute we cook our food we lose those vital enzymes which help break down proteins, fats and carbohydrates in the intestines. Food enzymes can be isolated from pineapples, papayas, figs, pancreas enzymes and a mushroom called Aspergillus Oryzae. Except for the Aspergillus Oryzae, all other isolated enzymes (fruits and pancreatic enzymes) have a very narrow range of activity with regard to intestinal pH. The best type of enzymes for digestive purposes are enzymes made from Aspergillus Orzyae (plant-based enzymes). These enzymes can function and become active in a very wide intestinal pH range (from 2 to 12). Better yet, if the plant-based enzymes are micro-blended with a mineral rich whole food such as blue green algae, it dramatically assists optimal digestion in the stomach. Specifically, wild-crafted blue green algae, since it is very high in mineral content. Enzymes function better with minerals as co-factors and can be very effective in the digestion of cooked or processed meals. The plant-based digestive enzymes I use are packed with amylase, protease, lipase, cellulase, lactase and wild-crafted blue green algae. I take a few supplements before a meal, and if I’m extra itchy at night, I may take a few to help me out. 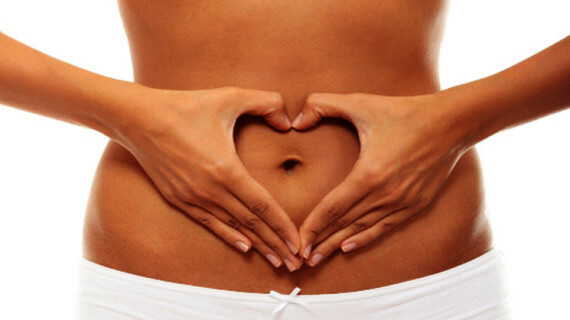 Digestive enzymes help with bloating, gas and intestinal distress. Premium digestive Enzymes blend – 90 capsules – $36.00: This product unlocks the nutrion potential in all foods and releases micronutrients from a wide range of foods. The plant-based enzymes lipase: breaks down fat, protease: breaks down protein, cellulose: helps break down fiber, and amylase breaks down starch. These enzymes will prevent energy lulls after big meals, allow the body to absorb much needed micronutrients, and help facilitate the digestive system to work its highest potential. This particular supplement contains: Glucoamylase, Amylase, Protease, Invertase, Lactase, Pectinase, MycoProZyme, Protease (II), Acid-Stable Protease, Lipase, Cellulase, Bromelain, Papain, Organic Microalgae, Fennel, Ginger and Cayenne Pepper. Proteolytic enzymes therapy supplement – 90 capsules – $64.00: This supplement is a proprietary blend of plant-based proteolytic enzymes: bromelain, papain, protease, lipase, and serratiopeptidase, together with organic microalgae, to reduce infammation and protect your body from tissue breakdown. **These products are: Vegan, Gluten Free, Dairy Free, GMO Free & GMP (Good Manufacturing Practice) certified. I would recommend to start with a couple of these products, but not all of them at once. If you are interested in purchasing some of these supplements, feel free to contact me at eczema.holistic.healing@gmail.com ! Barker, Jason , N.D. (May 2003). “Skin Health, Eczema, and preventative Strategies.” Townsend Letter for Doctors and patients . pp. 56-58.